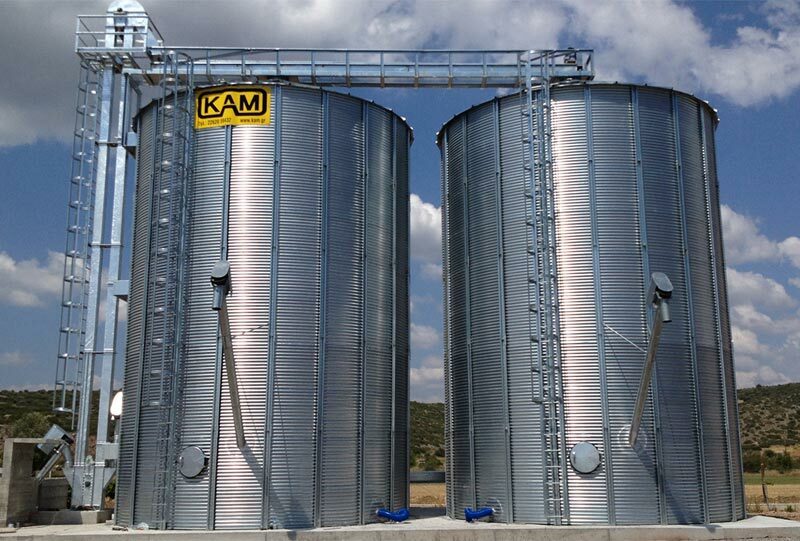 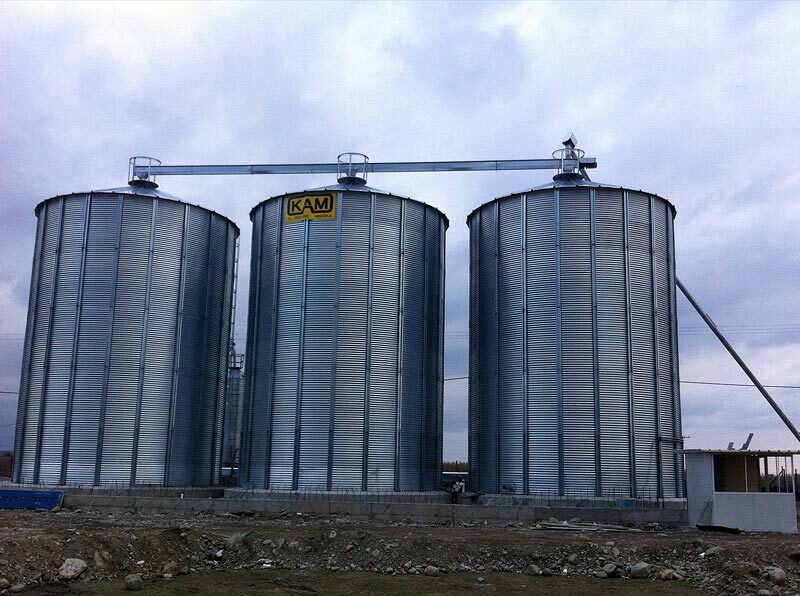 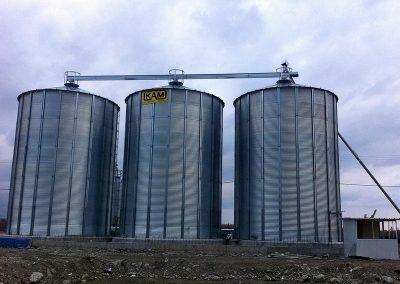 KAM’s larger silos meet the demand for economic and high capacity storage. 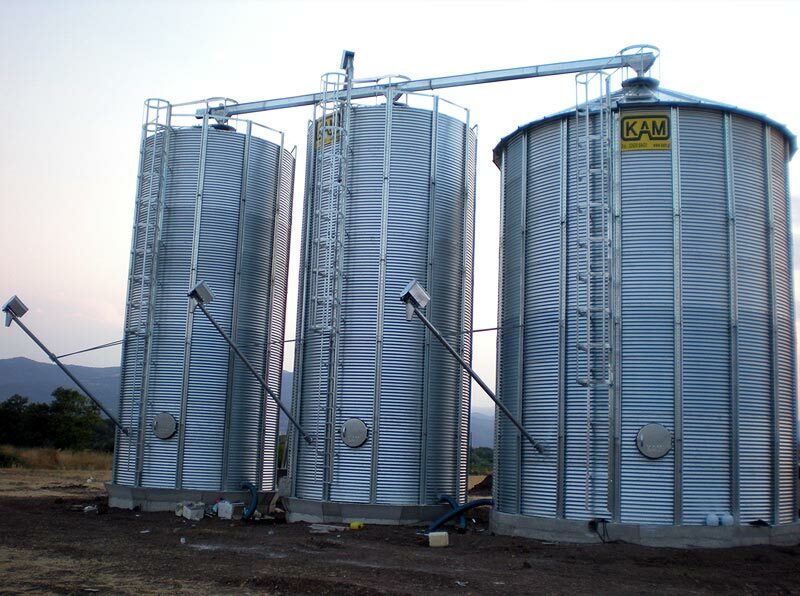 They are available in different sizes from 67m3 to 1345m3. 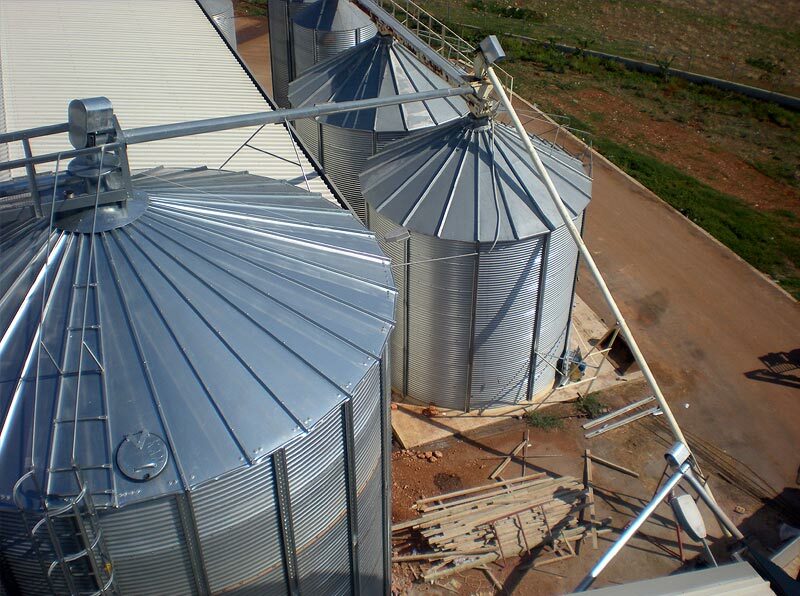 The roof consists of specially designed roof panels which combine large drip-lip and rain forced ribs. 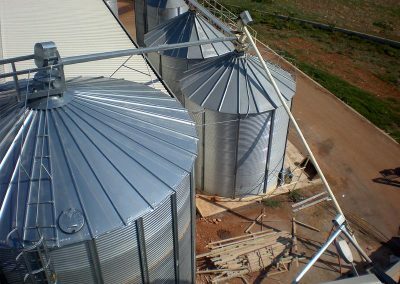 The roof panels are up to 1.25mm thick in order to avoid dimpling. 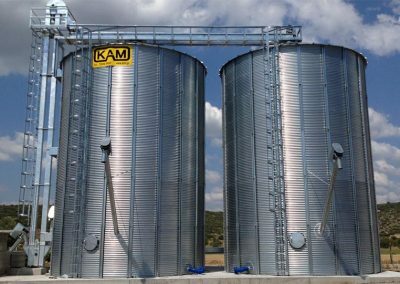 A complete line of accessory equipment is available from KAM including sidewall ladders, safety cages platforms and other items. 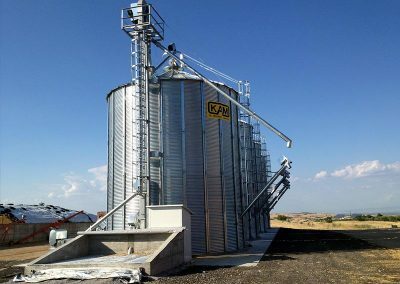 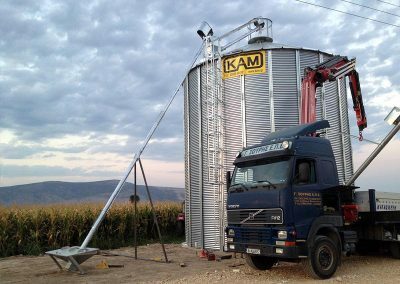 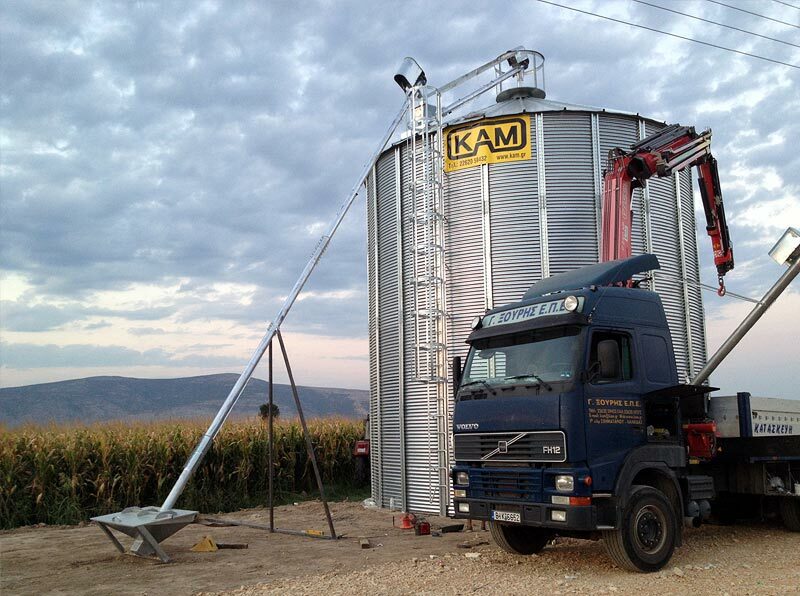 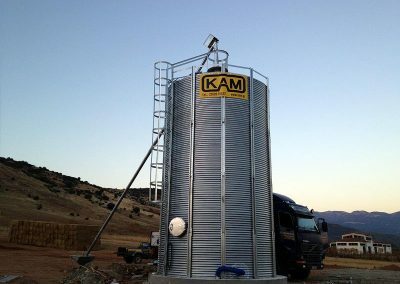 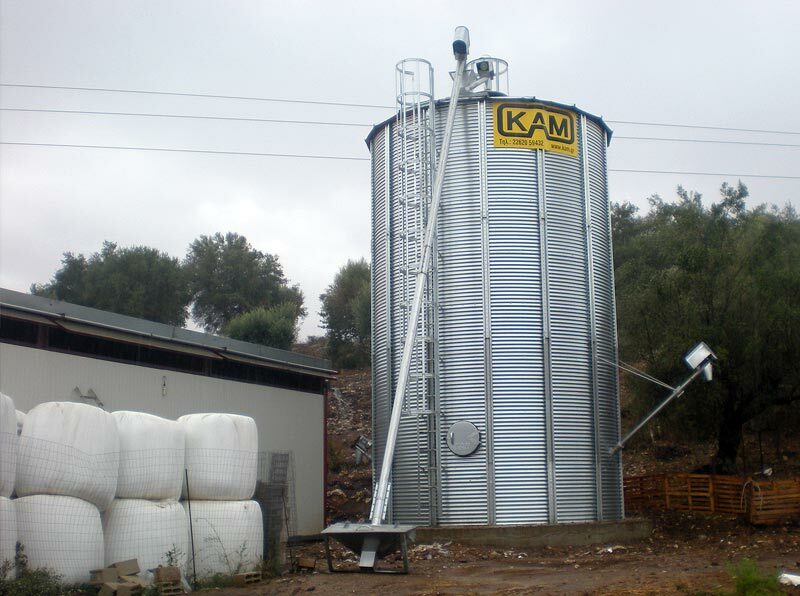 All KAM’s larger silos come with air conditioning system as a standard equipment. 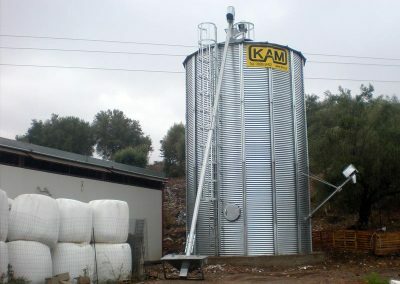 A suitable fan supplies air through the silo bottom. 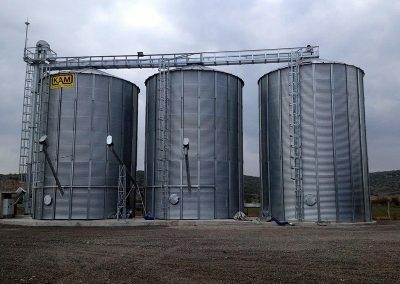 The air moving through the stored grain comes out all through the roof. 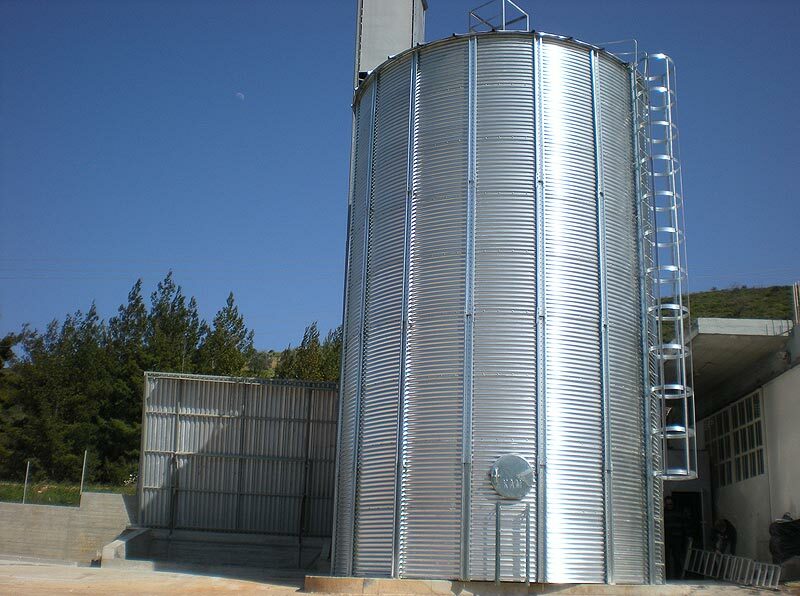 The silos are specially designed to ensure the protection of your investment. 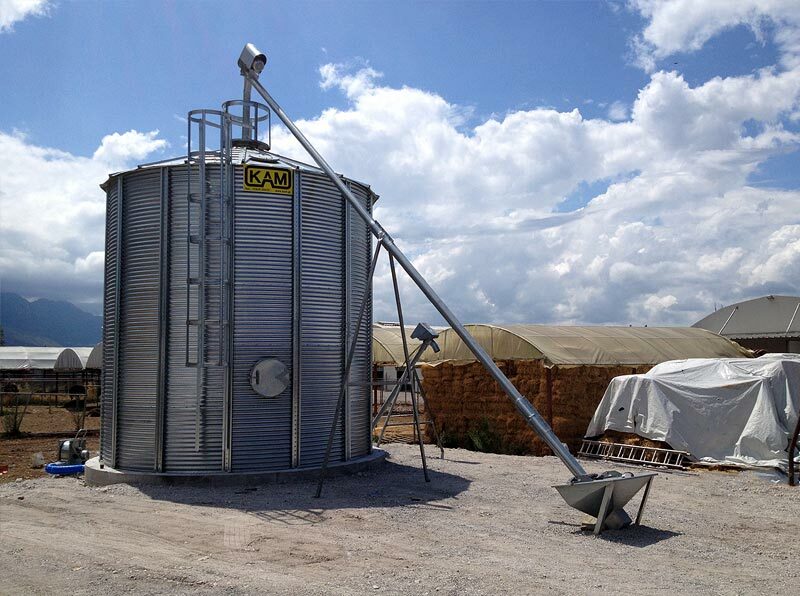 The units are easily assembled by perfectly fitting parts. 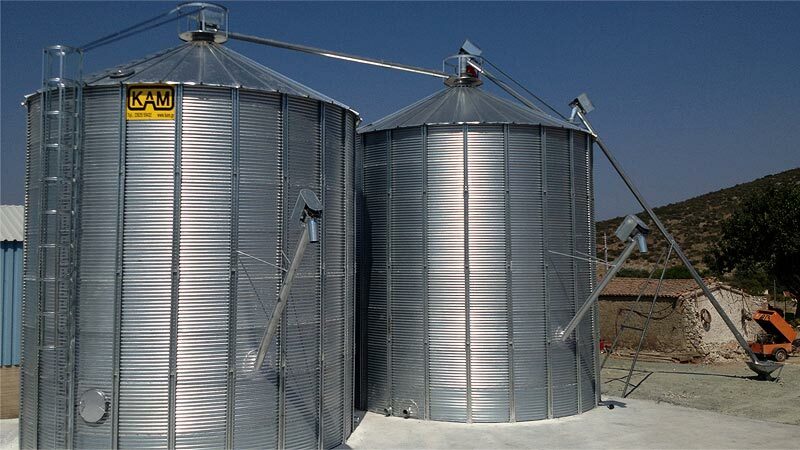 The main body consists of galvanized wall sheets especially formed for silo construction with 18mm deep and 76mm wide corrugation which provides strength as well as reduction of friction and subsequent wear. 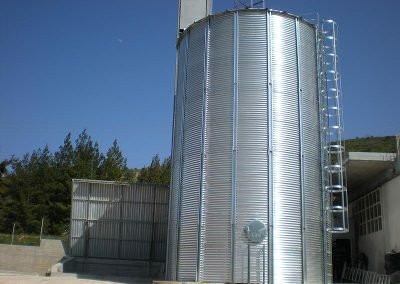 The wall sheets reach up to 3mm thick. 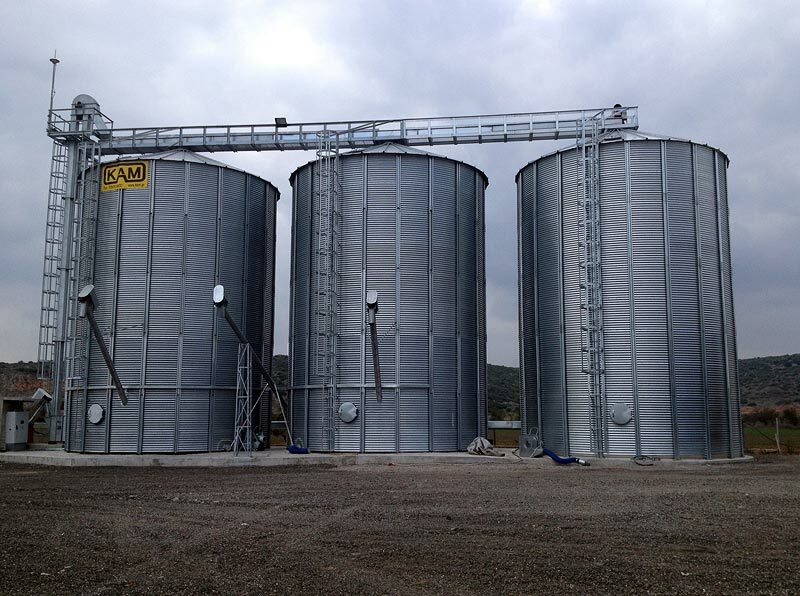 External vertical galvanized stiffeners are also provided. Their unique design ensures durability and strength. 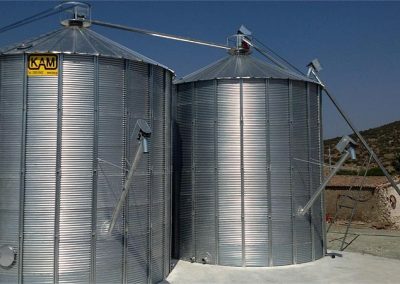 Complete weather-proofing of the wall sheet joints is obtained by sealing with insulatin material between the sheets.